The penalty for having such a nice time before Christmas making all sorts of fun creative gifts was that a large pile of mending didn’t get done! Despite the exciting projects bubbling away in my mind with the start of a new year, I knew that I had to be strict with myself and clear the decks of some these mending chores before I started anything new. I know I won’t be alone in needing clean, fresh space and a clear mind before starting new projects. It’s deeply important to how I approach a new idea that all the old bits and pieces associated with previous projects be put away. Not so much the slate washed clean – more the spare room bed (AKA my Woolly Room) be emptied of clutter. So to the mending then! We are great menders here. At the heart of it – far beyond the desire to help our planet (though that’s important too) – is the fact that we like our old things, and it makes us sad to get rid of them. Nowhere is this more clearly demonstrated than with Stephen and his attitude to his clothes. 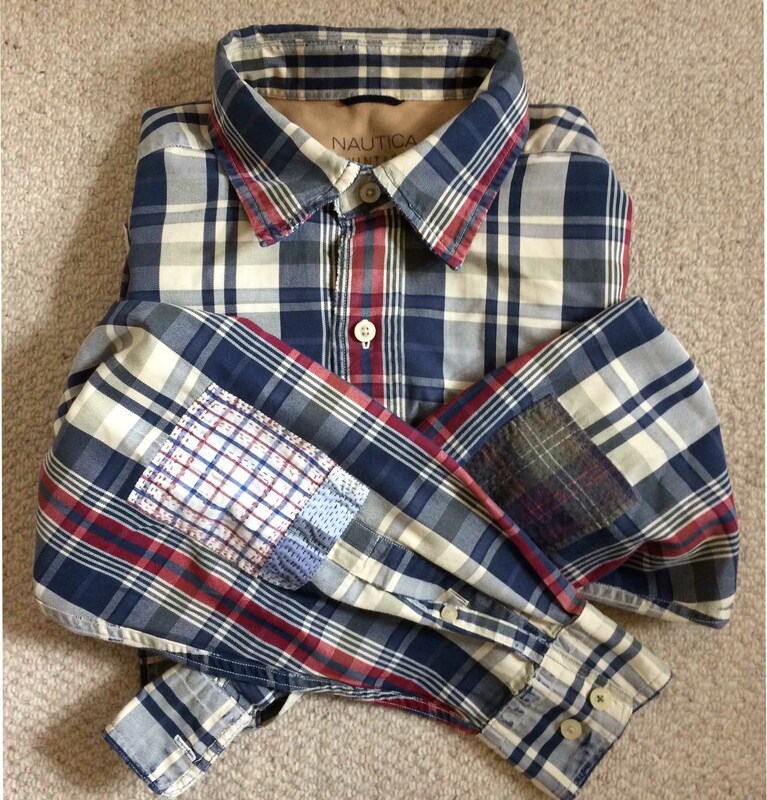 He loves his existing stock of check shirts with a passion …..err, no, I wouldn’t go that far. But they are part and parcel of our lives, being mostly hand-me-downs from a motley selection of family. His very favourites came from his oldest daughter’s ex-boyfriend, and have never been superceded in affection. 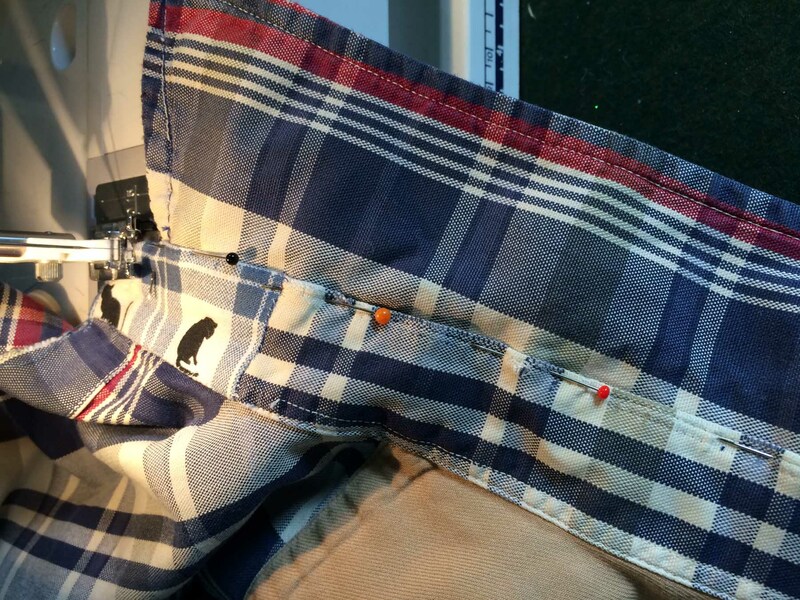 So, though my heart sinks when I see his shirts with frayed collars and hole patches on the elbow like this … I know how very much it means to him, that with a little loving attention … Actually, particularly loving attention, and very hard work when they get as bad as this … They can be carefully re-pieced …. 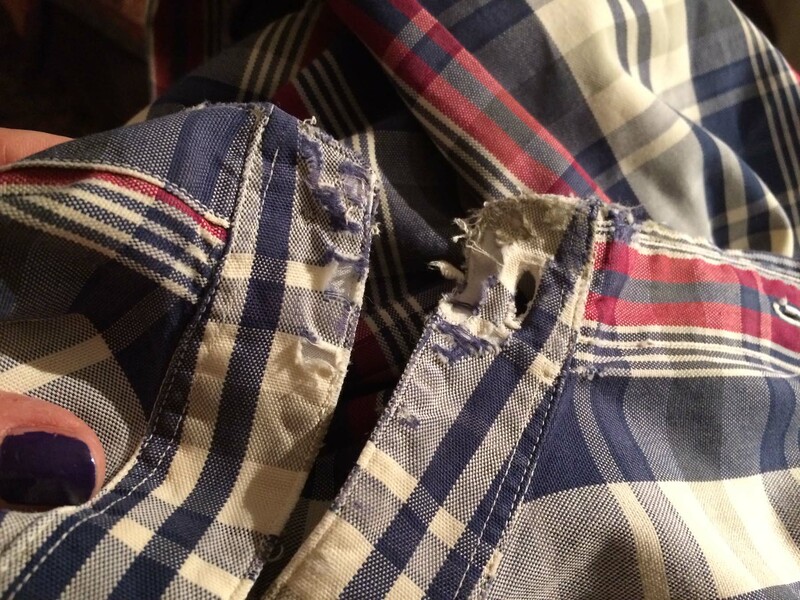 It’s worth it in the end … when they are almost as good as new … Ironically enough, the more loving repair and attention his shirts get, the more precious they become, and the less likely it is that we will throw them out ever! 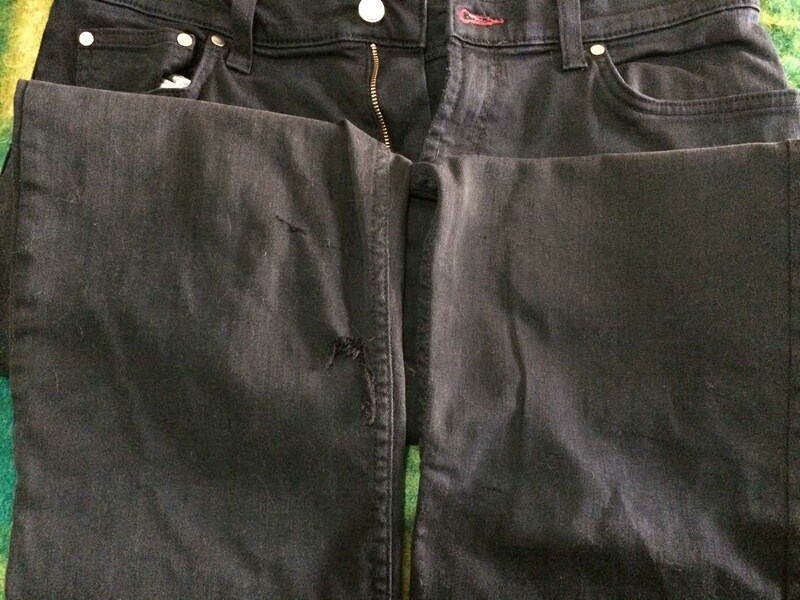 Even his trousers needed repair this time. I minded this less, because although trouser repairs are hard work, the only damage to these jeans is where he caught the leg on barbed wire … A new patch carefully stitched on … And a little loving sashiko work … I may criticise Stephen for hanging on to old friends for far too long, but truth to tell, I’m just as bad. 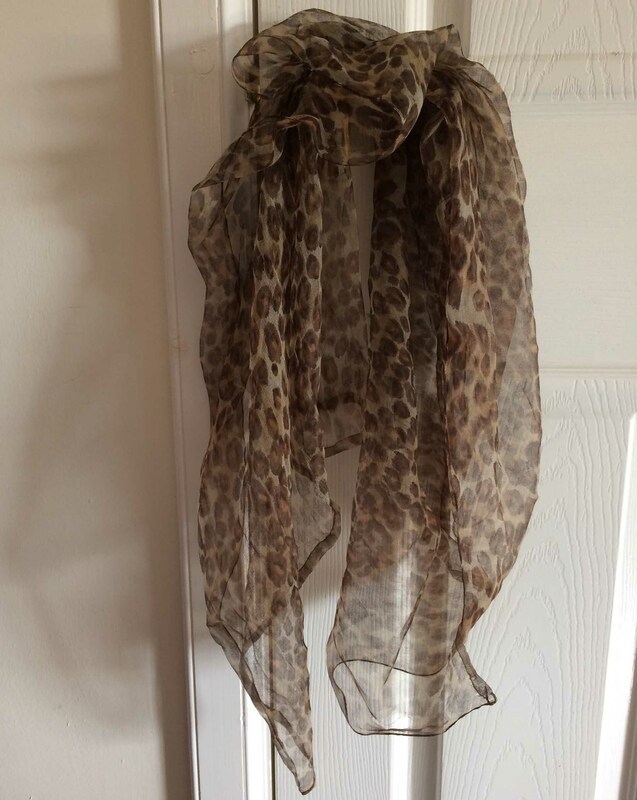 This chiffon leopard print scarf once belonged to my grandmother, so even though it was as worn as this … It’s worth putting in the repairs (even though the fabric is perishing as I stitch)… From a distance you might say it ended up as good as new … I finally got round to sewing on the replacement buttons on my vintage alpaca coat … They don’t really look that special like that, but up close and personal you can see how very beautiful these buttons are. They also belonged to my grandmother, and I have longed for ages to find a garment worthy of these beautiful mother-of-pearl buttons. Aren’t they just gorgeous!! So that’s the clothes sorted. Now you might think that I could rest on my laurels, and turn my attention to a new project. But no, there is more repair work to do! 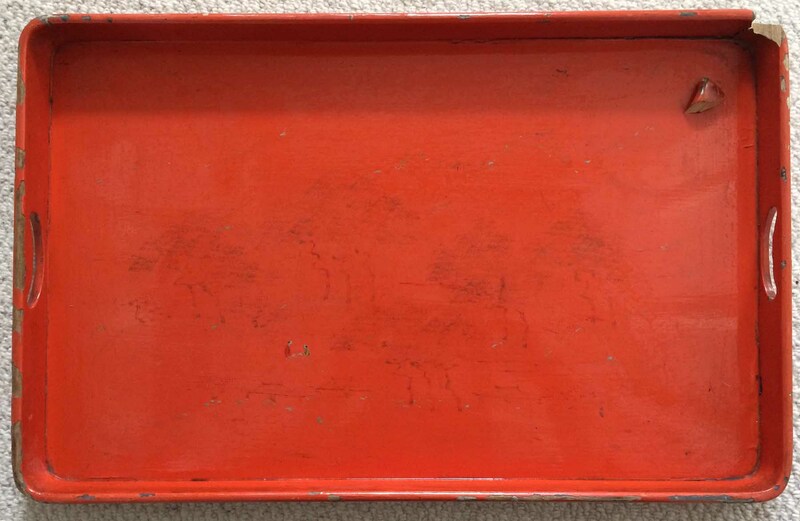 This is an old wooden red lacquer tray – so worn that the picture has almost completely disappeared. Can you just make out a faint Japanese scene? 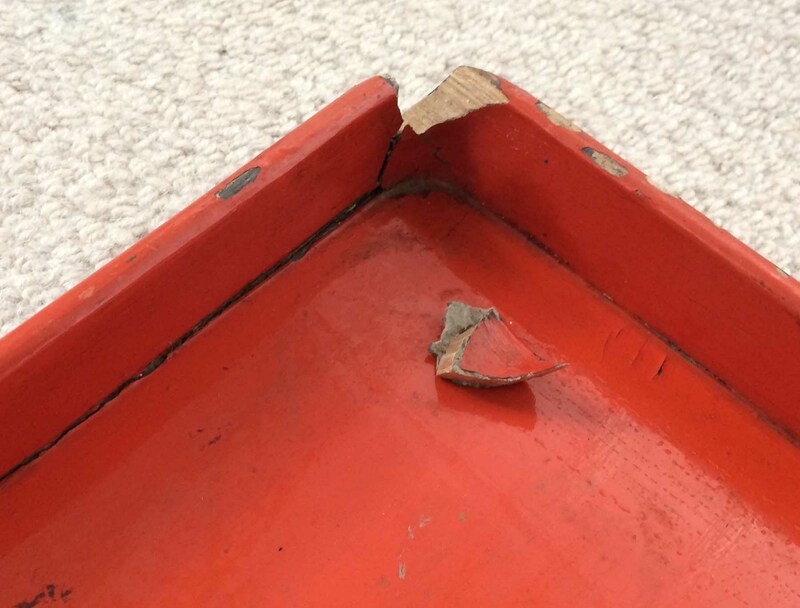 I broke it a couple of years ago … I must have picked it up carelessly, because the corner just crumbled off in my hand, the wood so friable that it just snapped. Luckily, very easy to glue together, and the tray just looks a little bit shabbier. Some repairs have hung around waiting for love and attention for a long time – because I really don’t want to do them. The laundry basket was just such a case. I won’t tell you in so many words how the damage occurred. Let the picture speak for itself … I hesitated to get started with repairs because I wasn’t really sure how I was going to tackle it. 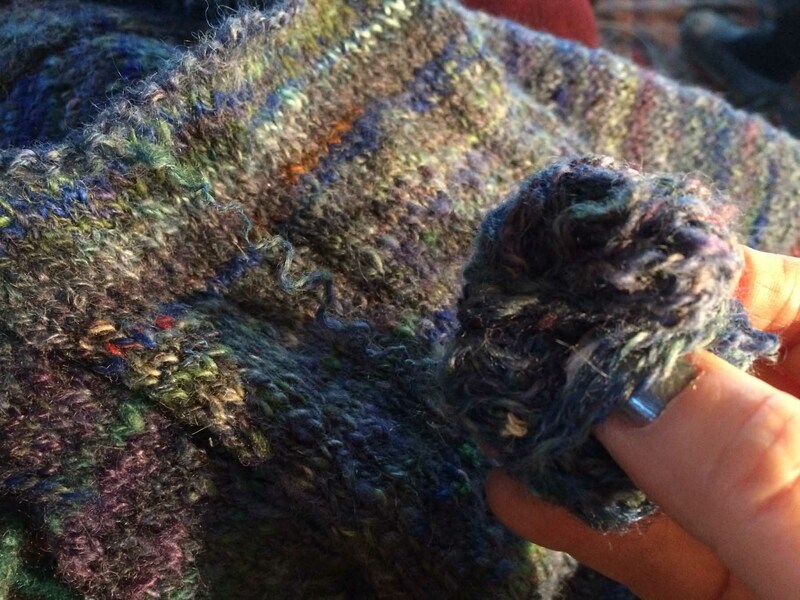 But once I started – with some of my homespun, hand-dyed yarn – it sort of fell into place. 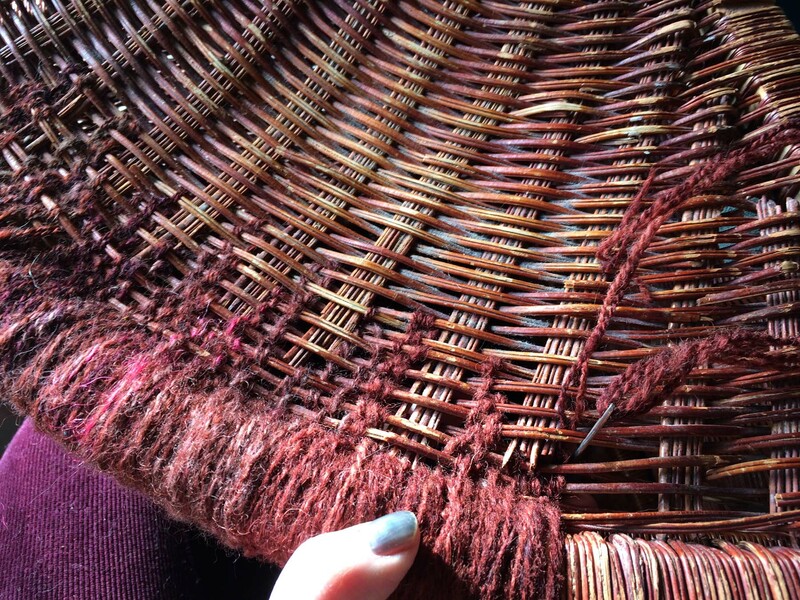 Binding round the edges … And then a little weaving to tie in the broken bits … I am so pleased with the end result! And so, I think, is Ilsa! 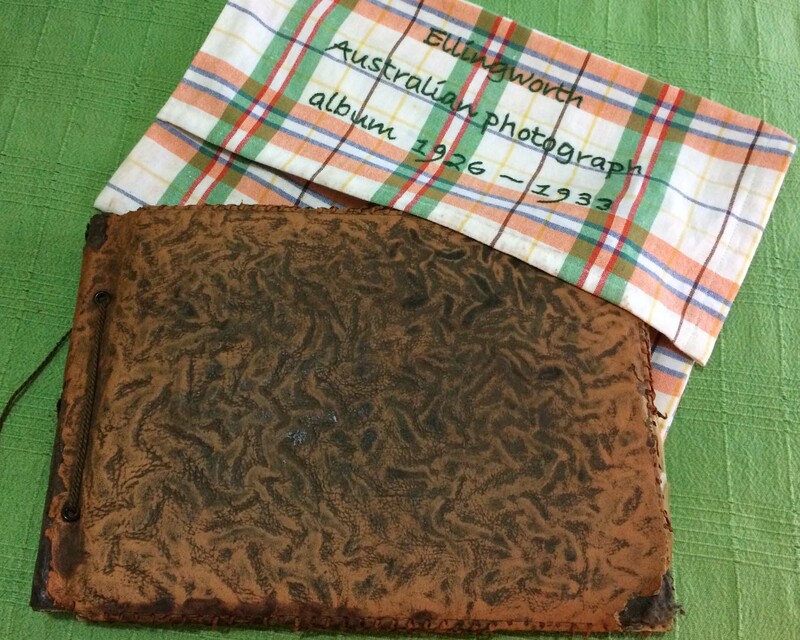 Another sort of repair project that I have just completed was to make a cover for the old leather photograph album which housed the photographs of my father’s Australian childhood. Old leather powders and sheds which isn’t only unpleasant because it leaves brown dust everywhere, but causes further damage to the leather. It was housed in an old plastic bag, but plastic can’t be good for leather, so I decided to make the very precious album its own special cover. I couldn’t do it. I grew up with parents who had lived through the second world war, and they saved and scrimped every little thing. Mending was core to their way of life. It’s definitely sunk deeply into my psyche. Kathy you are the only person I know who can be so wonderfully creative and resourceful with your mending making it into a real art! It gives a whole new meaning to recycling!! Brilliant saves! 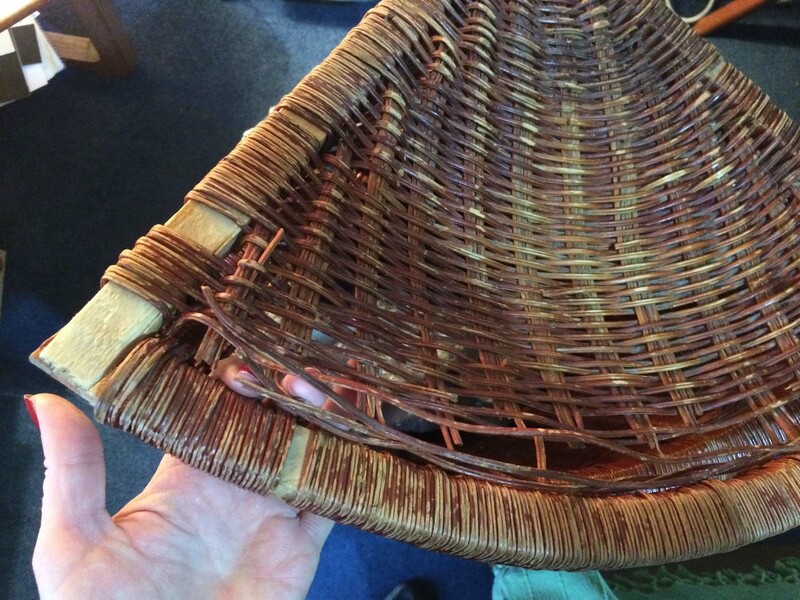 Love the washing basket repair! Oh Katherine, you are the only person I know who would undertake such mending tasks! And your stitches are perfectly neat. Well done you. Those shirts are a work of art – ashamed to admit I have never even turned a collar though I had been considering it recently. My Steve will be so impressed. 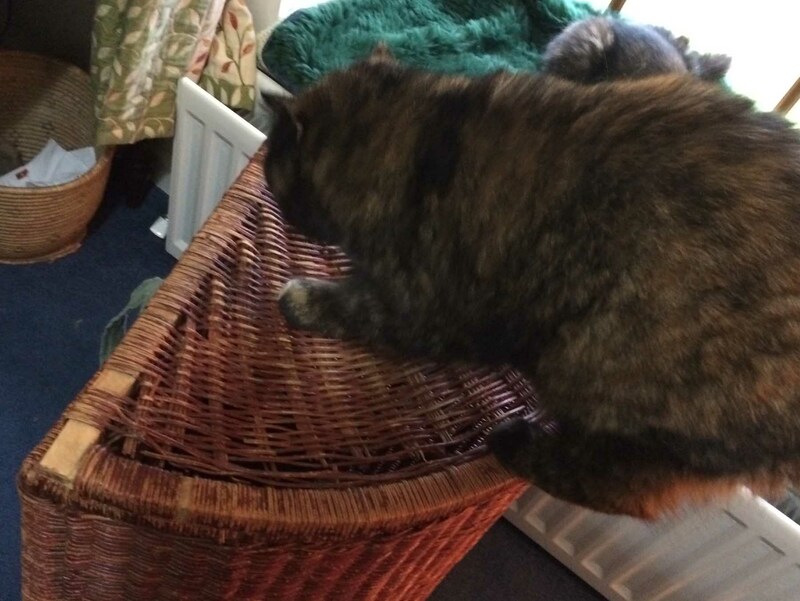 You were very brave to tackle the basket in wool and I can see you would make a very good frame basket maker. Never turned a collar!!! Oh, Mandy! But I guess Steve does his own mending, doesn’t he? 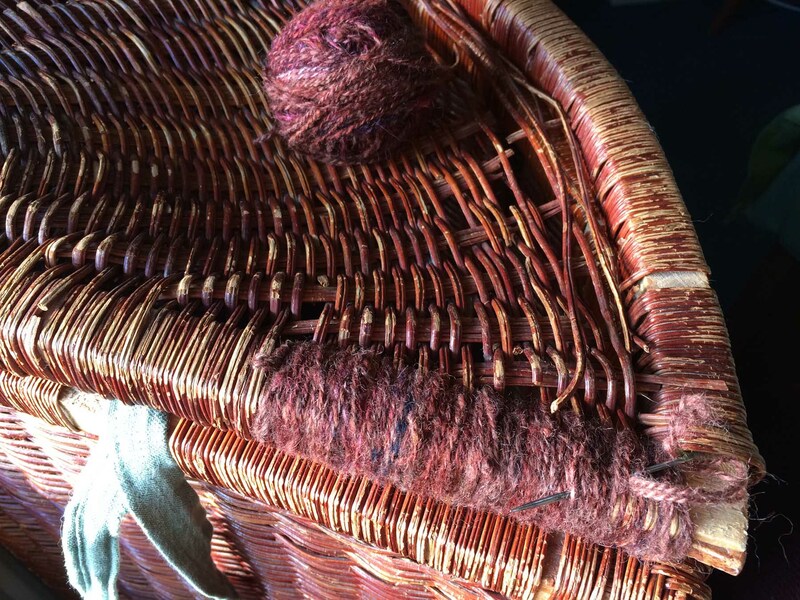 – along with the jam making and the baking …… 🙂 I did think of you when I did the basket repairs, and wondered what you’d think …. am very pleased it meets with your professional approval! Those buttons on your vintage coat are gorgeous! Thank you, Georgia – I am so thrilled to have found the right garment for them – at last!! [J] Aha, Stephen! 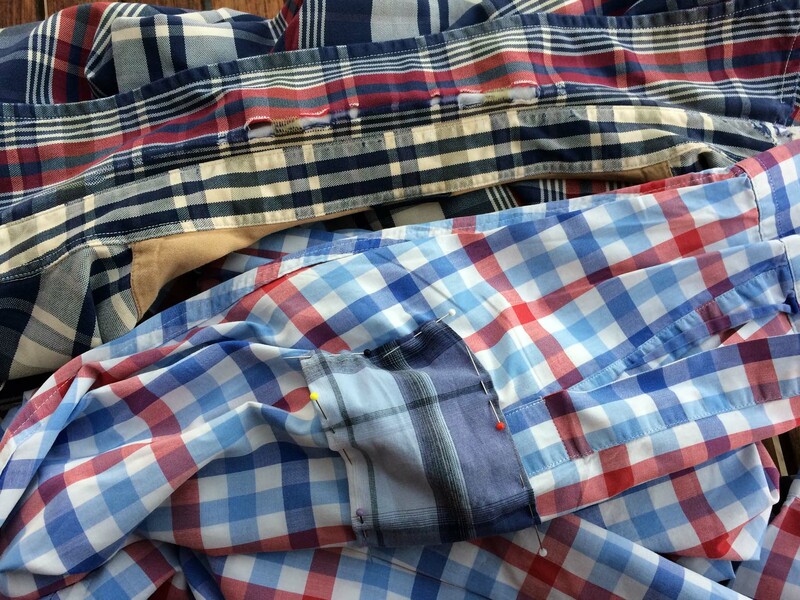 Checked Shirts! Favourites! 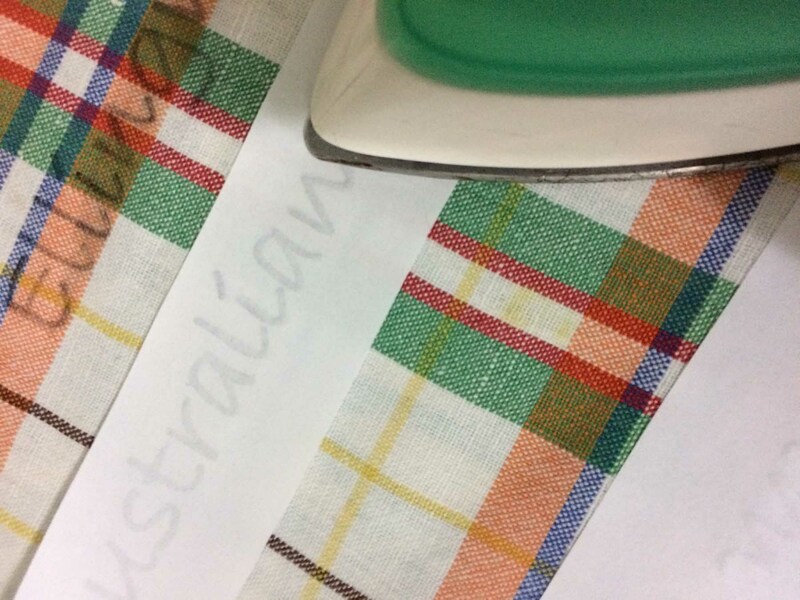 We must be cut from the same cloth – a checked one, of course! That’s a gorgeous yarn you’ve got laid out in 11 lovely skeins. It make me think of Denise’s Uist Landscapes ‘Atlantic’, though more blue and less green. I’m thinking it’s your own hand-spun? If so, from merino tops? Or is this information you’ll reveal in a future post? BTW you do manage really lovely close-up/detail photos. Now, why doesn’t it surprise me that you share Stephen’s love of checked shirts, Jonathan?!! 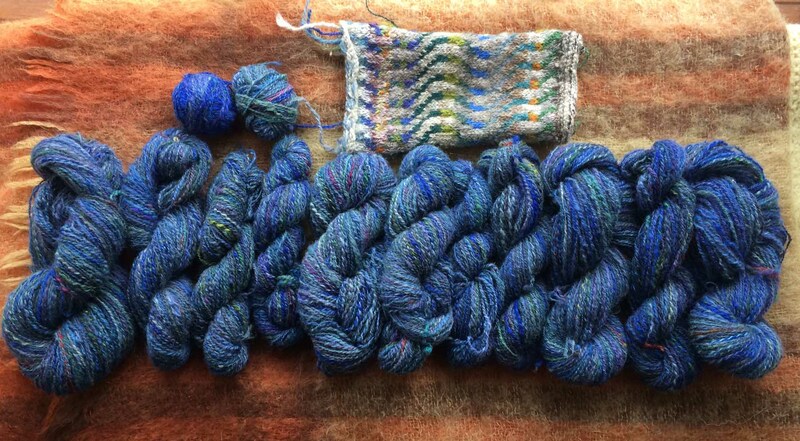 Yes, the blue yarn is my own home-spun hand-dyed yarn – but actually not Merino at all. It’s a Shetland, alpaca, silk, mohair (and anything else I can find that has a nice bit of colour) mix. Not as soft as Merino, of course, but very pleasing – and indeed, sort of “Atlantic-y”. 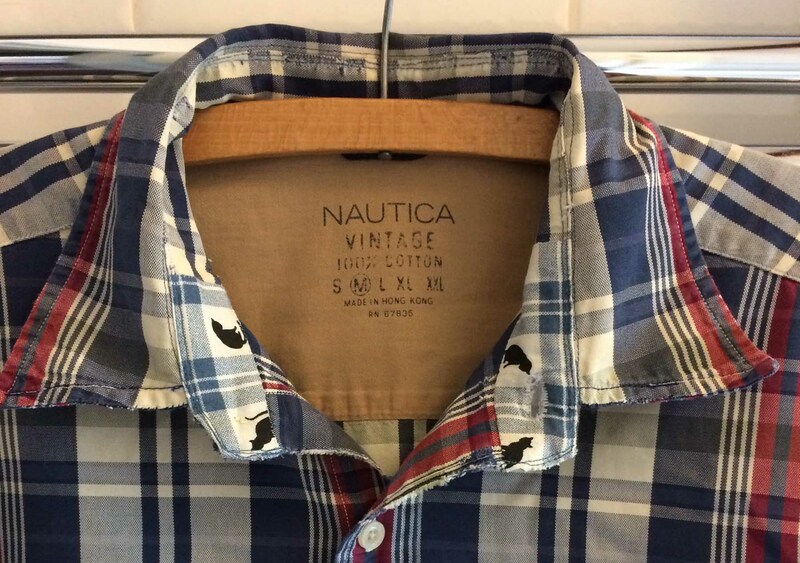 Just love those shirts with the cats peeping out of the collar! And the laundry-bag. 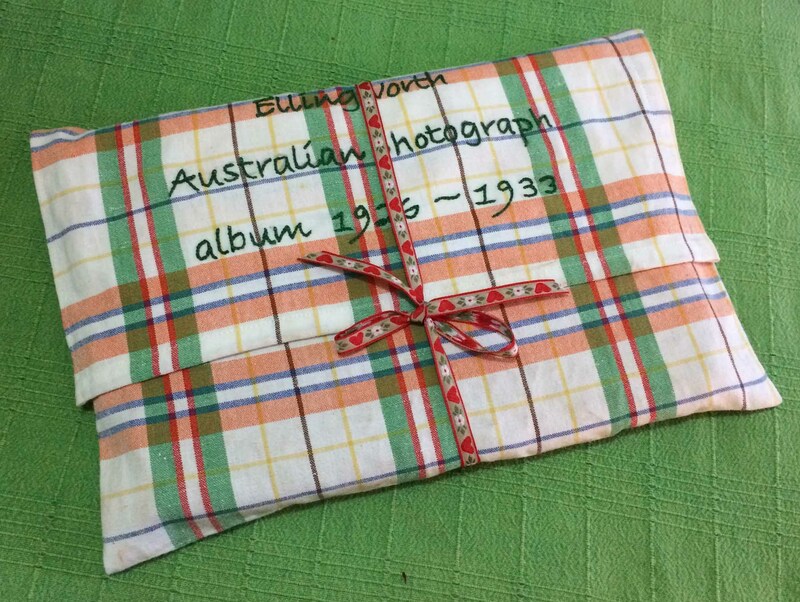 And the photo-book cover. Isn’t it a great feeling having done all those things that have been on the List? I hate throwing things away too but am not as skilled – or persistent – as you. 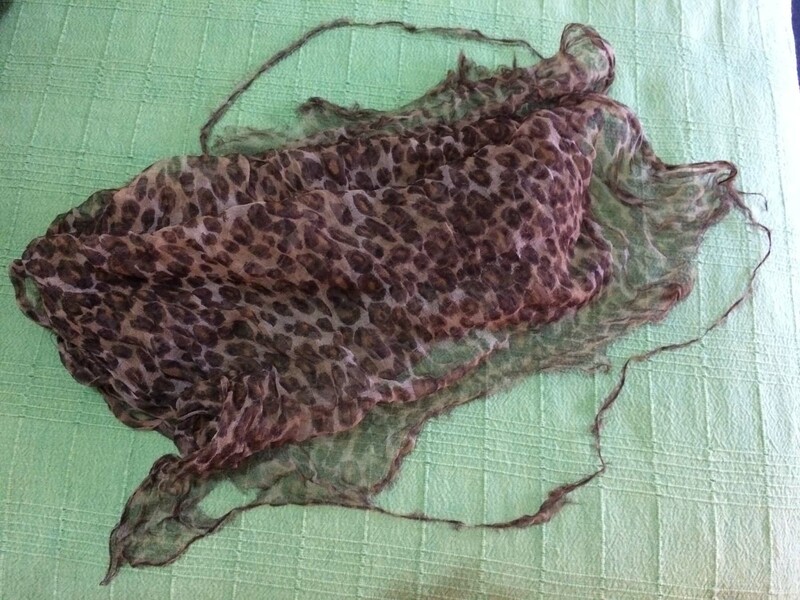 I wish I could ask your advice on my treasured, very fine and perished, purple silk scarf. Has had bits cut off and even been mended once, and not sure what to do next. 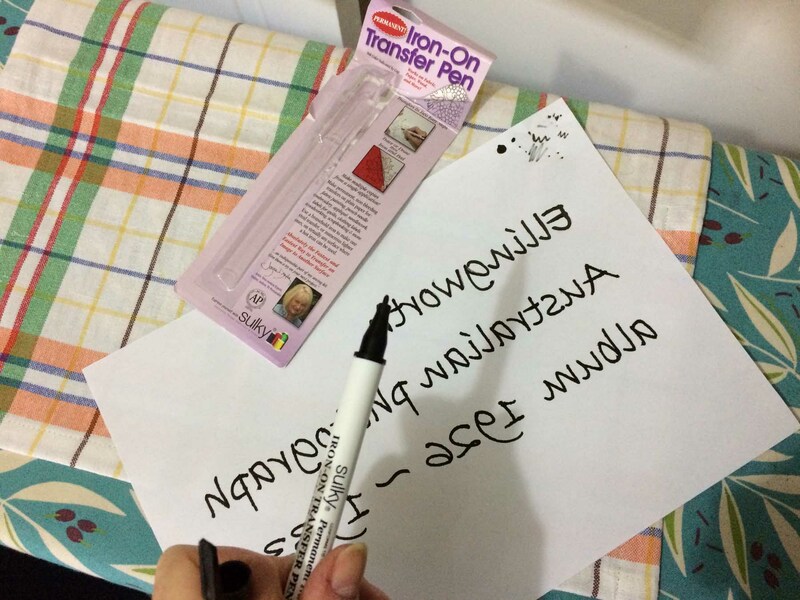 Today on my list is adding new sliders to a curtain which has sections falling down – tedious and it took me forever to buy the sliders – but will be good once down! 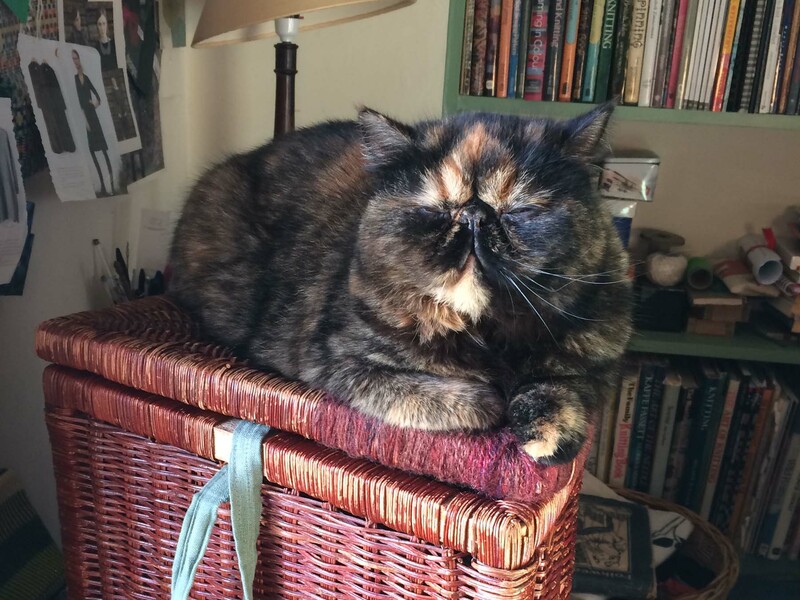 Very perceptive of you to see those little black cats, Polly! – I was so pleased to fit them there as the blue check matches the shirt so well. Sounds like it is definitely a family thing to look after old friends properly – good luck with your tiresome curtain, and very happy to help with your treasured purple scarf sometime. It’s not GiveWrap material then? And I completely agree about The List – yeay! Lovely to read your post just now. I am in awe of your exquisite mending on Stephen’s shirts, how much nicer they are now than when they were new. The album cover is a triumph! 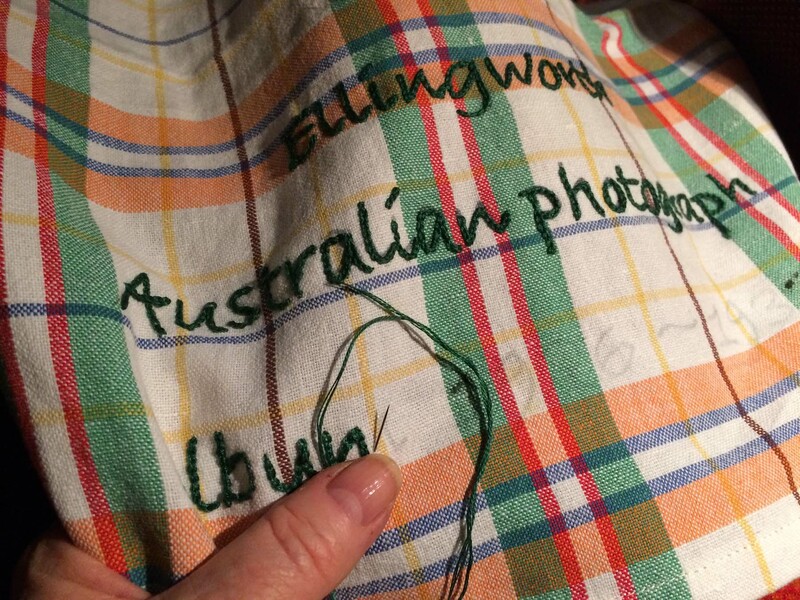 An heirloom for the future….wonderful handmade loveliness. Thank you, Lydia – better not let Stephen realise how very nice his repaired shirts are – they’ll never ever reach the rag bag! And thank you too for your kind comments on the album cover. It felt the proper way to house a real family treasure – and help preserve it for future generations. I just wish I could show my father …. Another enjoyable post, kd. 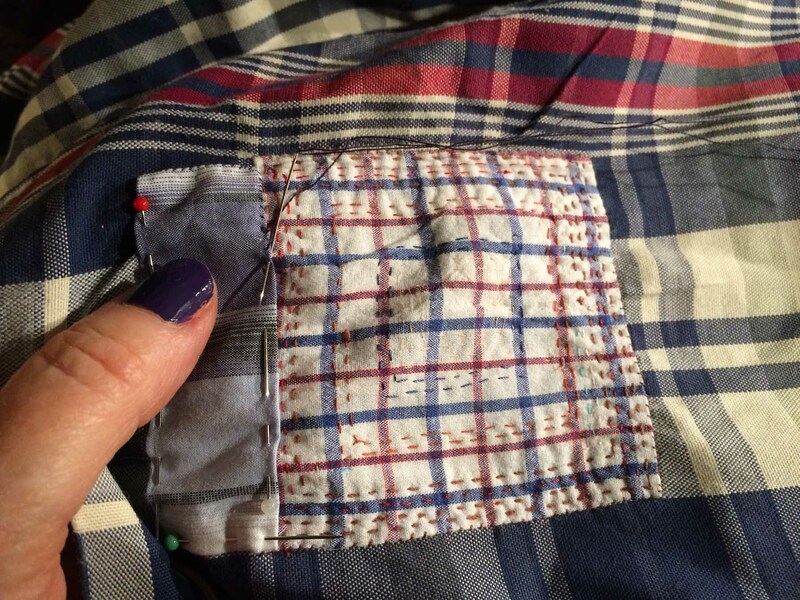 I have several mending projects tucked away and you have inspired me to get at them. I especially like the sashiko work on a wool patch for the jeans – beautiful! 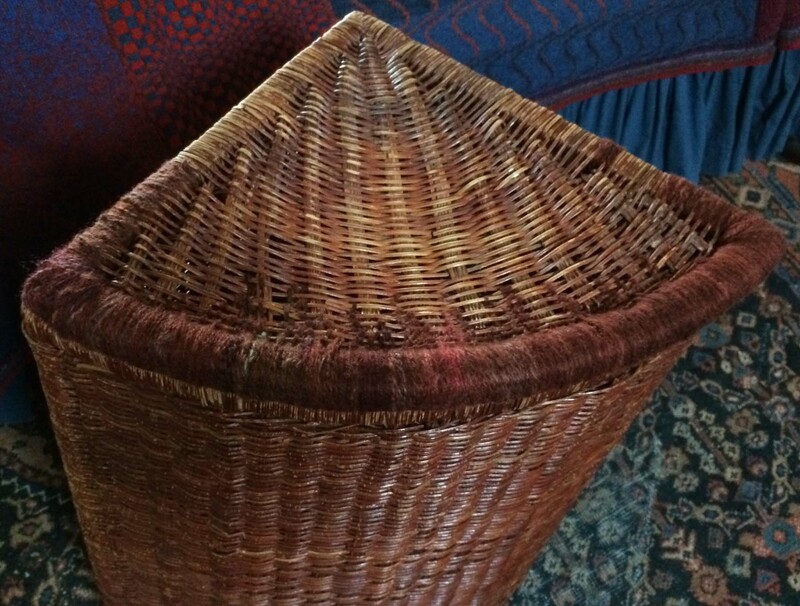 The laundry basket repair is also a super idea. My parents also lived through the Depression here in Canada, and my Mom was a wizard at reduce/reuse/recycle….I need to remember to emulate her ways more often….well worth the time and effort. Thanks again for sharing. So glad you enjoyed it, Karen – and hope it does inspire you! 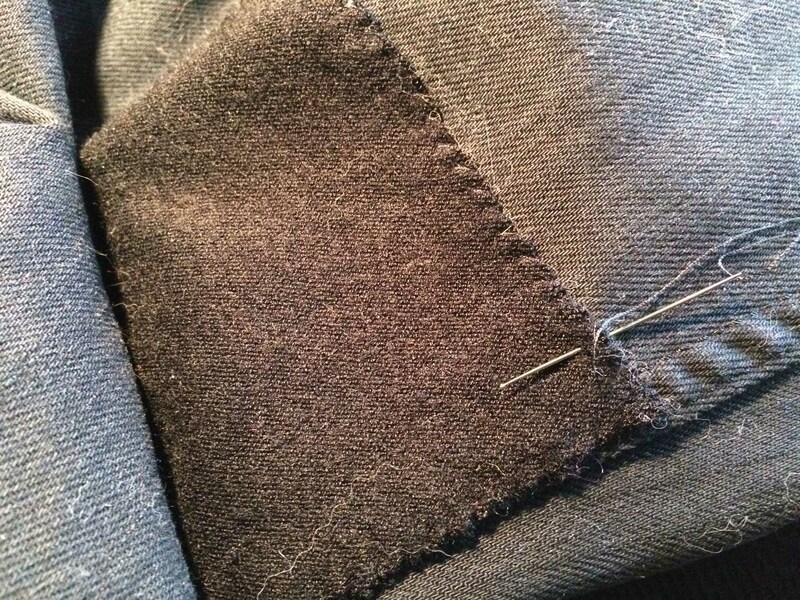 Very perceptive of you to see that it’s a wool patch on the jeans – they have some stretch in them, so I felt that repairing them with ordinary cotton wouldn’t work. Not sure how the wool patch will stand up to Stephen’s tough walks, but it’s worth trying. I think our parents would be amazed how deeply they influenced us, despite the affluence of the times we’ve lived through! Well done you ! Some beautiful ” visible mending ” there ! 🙂 Love it ! 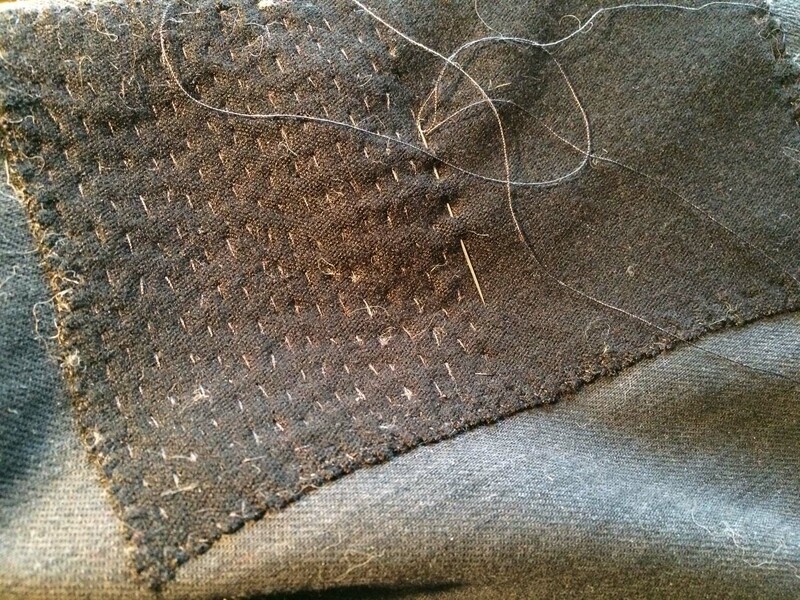 Thank you for your kind comments on my very visible mending attempts! Those shirts are taking on a whole new life of their own! They look so good and such an antidote to high street fashion in so many ways. I went to a Visible Mending class with Tom of Holland and since then have been much keener to match and darn – particularly hand knitted socks. Lucky, lucky you going to one of Tom of Holland’s classes – I bet it was inspirational. 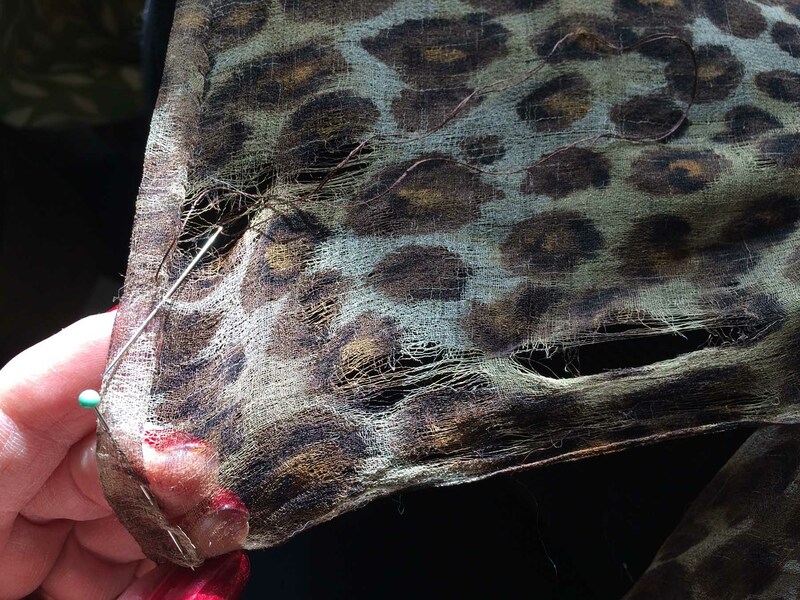 Though funnily enough, I don’t darn socks – my one failing on the mending front!